An exciting personal account from Mila, one of the cannabis industry’s rare female icons! This is the powerful autobiography of the most prominent female pioneer in the world of cannabis. 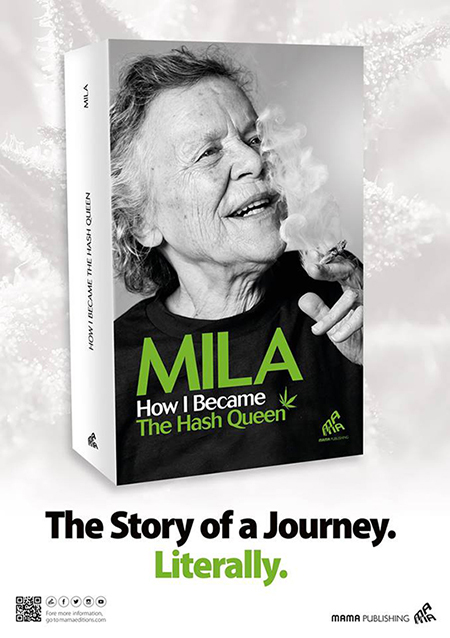 For more than fifty years, Mila has been at the heart of the Marijuana scene, first during the hippie movement in the sixties Amsterdam, and later as the world- renowned inventor of revolutionary hash-making technology. Mila, also known as “The Hash Queen”, was recently honored with being named one of the 100 most influential people in the world of cannabis- and her fame continues to expand.